Like many people we collected several movies over the years on VHS tape. Many of these are Disney moves or other kid movies. Our kids are now adults and have moved out of our house, but we do anticipate that they will soon marry and we will have grandchildren around that might want to watch those movies. Ideally we would simply keep the tapes around and play them on the VCR when the grandkids are around. However, our VCR no longer works, and it is no longer possible to buy a new one. They are available at garage sales or thrift stores for as little as $5, but I don’t trust electronic gear from a thrift store to last. Another issue is that we would prefer to not have to store all of the tapes when they will not be watched all that often. A better solution is to copy the tapes off to a digital format that can be stored on my storage server. That means that I need a tool that can take the analog output from a VCR (I borrowed one from my father-in-law) and input that to a PC where it can be converted to an MP4 format. The tool that I used is the Elegato Video Capture. 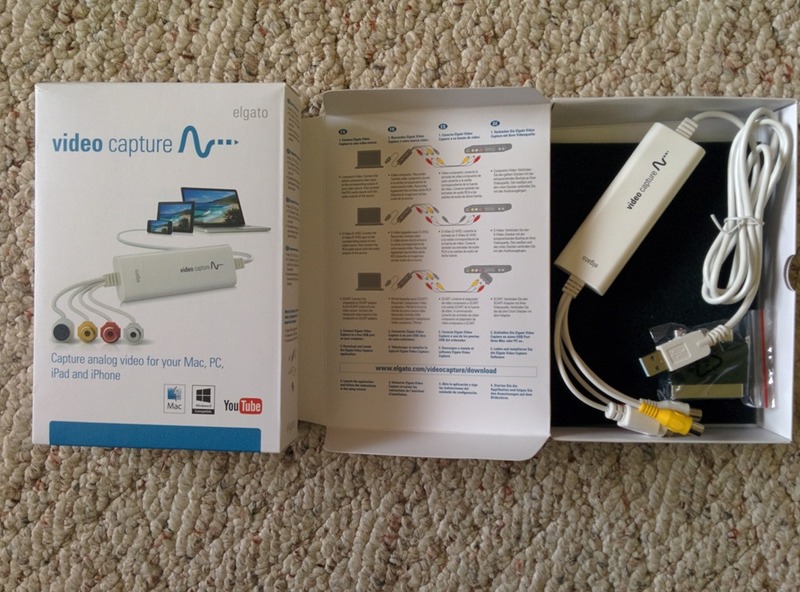 The Elgato Video Capture is compatible with both Mac and PC. I used it on a Windows 10 PC. The box that the tool came in contains the hardware and instruction printed on the box, but no software. The instructions explain how to connect the device to the VCR or other video source. Then the device is connected to the PC via a USB port. After the PC recognizes the device the instructions say to download and install the video capture software from their website. And then lastly, launch the application and follow the instructions. I followed these instructions and found that I could not get the application to access the device. I very quickly however realized that the device was not going to work on the PC that I was trying to use. 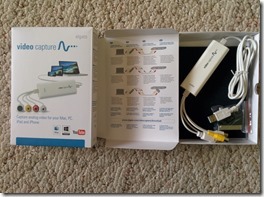 I wanted to use an older Netbook PC to do the capture. This would have allowed me to dedicate the PC to this task until I completed all of my tapes. It was at this point that I realized that this device will only work with a USB 3.0 port. There is nothing in the instructions that state this, and the plug itself is not blue like most USB 3.0 plus are. But as soon as I plugged it into my desktop PC with a USB 3.0 port everything worked correctly. 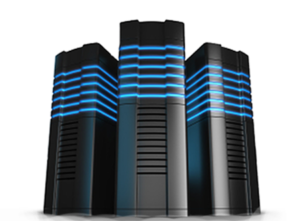 The software that installs after it is downloaded is very simple to use. It walks you through naming your file, configuring the video input and audio input, and then provides a big red button to begin the capture. 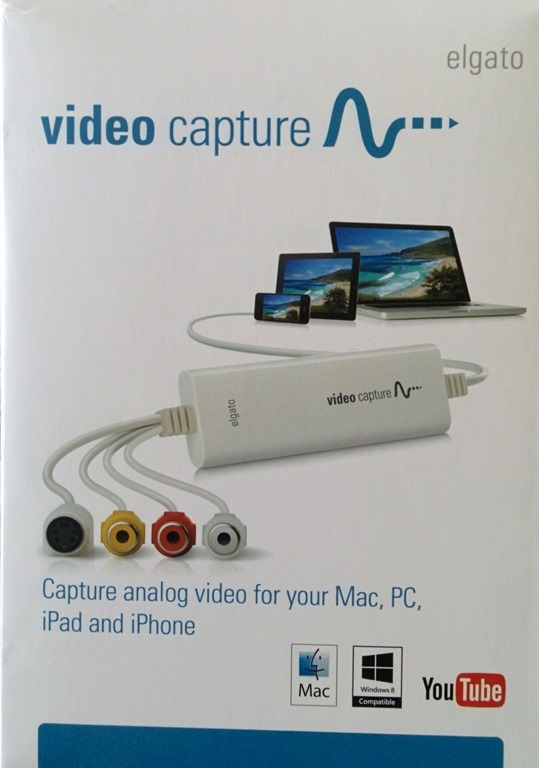 During the capture it displays the video being captures and allows you to listen to the audio or mute the audio being captured. The software does have the option to automatically stop the capture after a specified amount of time. I did use that function when I was working on something not related to my computer, or if I wanted to go to bed and let it run overnight. I could start the video, start the capture and then come back to the PC later. The VCR would be stopped, the tape rewound, and the capture software waiting patiently for me to finish up. The last step in the capture process is to set trim points at the start and finish of the file. That allows you to start the capture right away, set the capture to stop at some point after the length of the move, and then simply trip the beginning and end of the file to leave only movie that you set out to convert to MP4. I did have one issue with the software. However, I don’t know if many other people will have the same issue. My wife and I share this computer and I have us set up so that each of us have a local account and we switch between users as needed when we change users. Normally one of us will simply get up and the other will switch users leaving everything the other was doing running. We tried to do this with the video capture running and found that it did not continue to run correctly. Apparently the video capture needs to run as the active user. Everything else that we normally run is fine to go into the background. The video capture does function correctly in the background of the active users. I would routinely start the capture and then minimize it to the task bar while I proceeded to work on other things.